First of all, a floral photographer I am not. Seriously not! Moving on. Bouqs recently asked if I wanted to receive some flowers for review, and I quickly jumped on the opportunity! We've had quite a bit of company over the last couple of weeks, and I absolutely love having fresh flowers around for guests! I like to fill tiny vases in all the bathrooms and then usually have a big bouquet in the guest bedroom as well as the kitchen. Bouqs has some of the most beautiful bouquet options, so it was tough to choose! 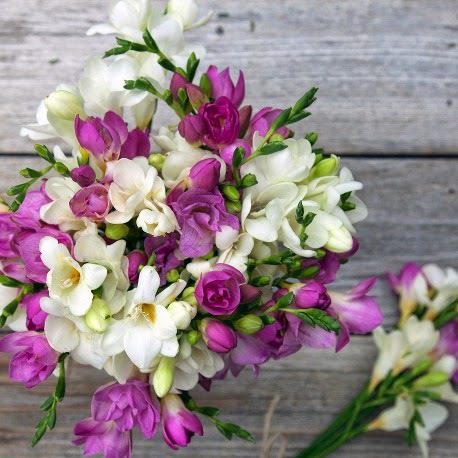 One that caught my eye in particular was their "milkshake" bouquet; I'm sure the freesia would have smelled amazing! 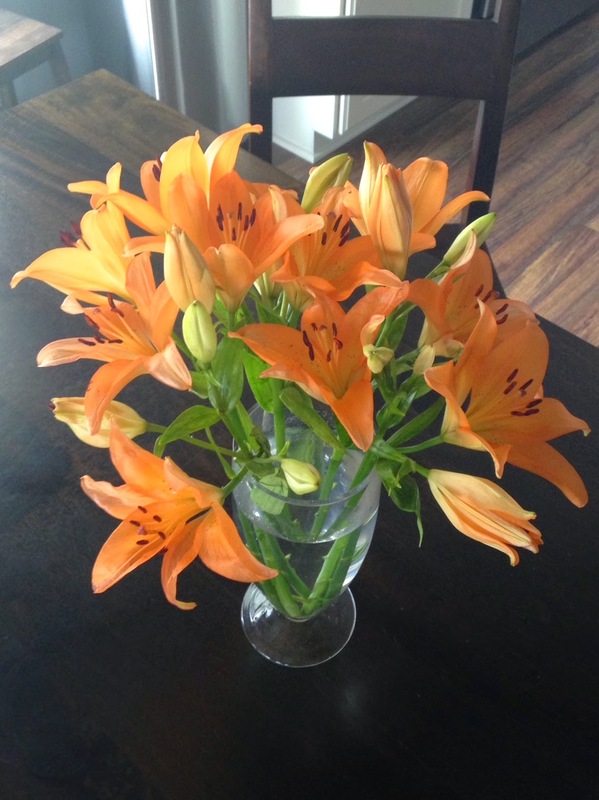 However, I was feeling a bit more in the autumn spirit and instead went with some orange lilies, "The Great Pumpkin" bouquet. Perhaps, I was simply sold on the name! :-) I was completely impressed with just how many blooms arrived! For the most part they are all were just starting to open, so that I got to enjoy my flowers for well over a week! They were stunning! I was also really impressed with Bouqs' customer service! FedEx had an issue, so my flowers were going to be delivered a day late... Bouqs was completely on top of this and sent me an email right away to let me know. They also credited my account $15 for a future purchase. I always want to continue supporting a business when they have excellent customer service like this! I will definitely order from Bouqs in the future, because I just can't get enough of their flowers. I love sending bouquets to friends & family periodically and while I typically like to use a local florist, sometimes I get frustrated when their websites lack in showing what flowers they offer. I love how you can easily see all the options Bouqs has! And there are plenty! Let your flower shopping begin! Now if anyone wants to send some flowers my way, I love lilies & dahlias! I'm so with you! I found it SO HARD to take pictures of the flowers! The ones you chose were gorgeous though! I love them! What a fabulous service they offer. I'll definitely be using them again! If a company has good customer service, I'm pretty much a client for life and spread the word of mouth advertising like hot cakes! Love the flowers you chose! I'm partial to lillies and hydrangeas! 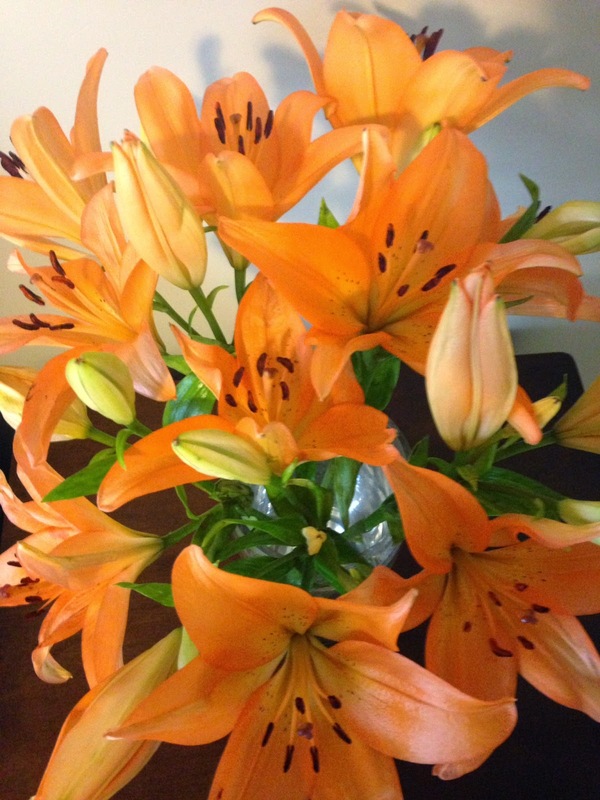 I love orange flowers for the fall (and really all year long)! Such pretty flowers.